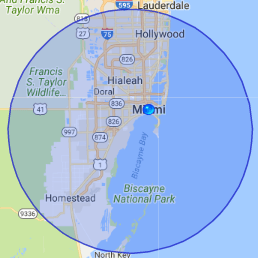 911 Restoration Miami resides in an unincorporated part of Miami-Dade County where our water damage Kendall West team offers the best water damage restoration services you will find. With a small community of 38,000, Kendall West is considered to be a nice place to live and reside. However, much like any area in the county, residents here are susceptible to flooding when hurricane season comes. Strong tropical storms bring large amounts of rain that can create many problems for home and business owners. 911 Restoration is designed to help restore your home or business to its original condition no matter the circumstance, so give our water damage Kendall West technicians a call for help today! Our water damage Kendall West experts with 911 Restoration Miami advise that if your home floods, it is best to first, shut off all power to your structure that could cause a potential fire hazard. Then, immediately call 911 Restoration Miami to properly assess the damage and clean up needed in order to get your building back in order. We have the industry leading tools for water damage restoration, the proper water extraction methods, and we offer same day service and are available 24/7/365 for your immediate convenience. Often home owners and business owners will start the work themselves, but they can move too slowly, and the water can begin to seep its way into the floor and the foundation of the house or building. This can lead to even more water damage if not handled properly, and may cost you thousands of dollars as well as being an immediate health risk, so be sure to give us a call. One of the many services our water damage Kendall West team provides are water extractions. We have industry-grade pumps and vacuums that are specifically designed for quick and detailed water removal. Afterwards, using the latest drying technology, we make sure all areas are properly dried. This is an important step because even a little moisture left behind can become a major problem zone for mold to form. Mold grows and releases spores that can be hazardous to people and animals, resulting in major health problems, as well as structural decay. 911 Restoration specializes in mold remediation, even testing the air for mold spores when we believe our work is finished, so that when we leave you are left with a sense of ease instead of worry. Heavy storms aren’t the only source of concern for floods, according to our water damage Kendall West experts, floods can form from various circumstances, including water heater leaks, a pipe burst, a toilet overflow, washer hose bursts, and ruptured hoses. All of which require water removal, drying of carpets and general clean up, so give our water damage Kendall West team with 911 Restoration Miami a call for help with this today!